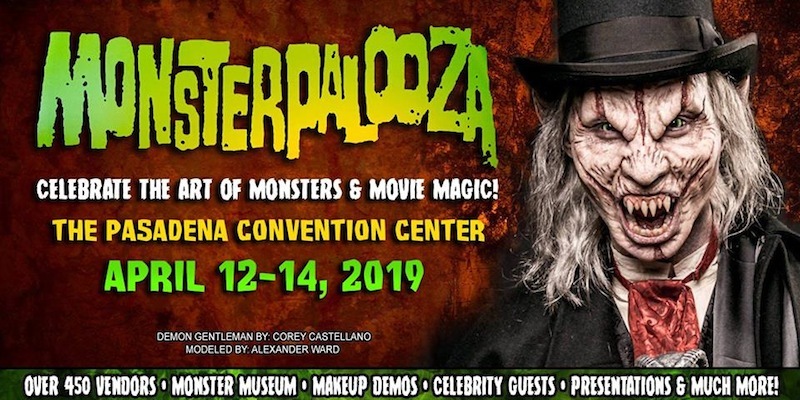 MONSTERPALOOZA 2019 returns to the Pasadena Convention Center April 12 – 14 to celebrate the art of monsters and movie magic. Over this three-day affair, attendees have the opportunity to meet the award-winning creature creators from feature films, television and the haunt industry, plus loads of panels, presentations, tutorials and exhibits to browse. Highlights include over 200 vendors on hand, a dedicated MONSTERPALOOZA Museum featuring sculptures, props and animatronics from feature films, special celebrity guests, and live monster makeup demonstrations. MONSTERPALOOZA show hours are Friday April 12 from 6 – 11 p.m, Saturday April 13 11 a.m. – 6 p.m., and Sunday April 14 11 a.m. – 6 p.m. Tickets for the event are available via Eventbrite for $30 – 35 for any individual day or $75 for a weekend pass.